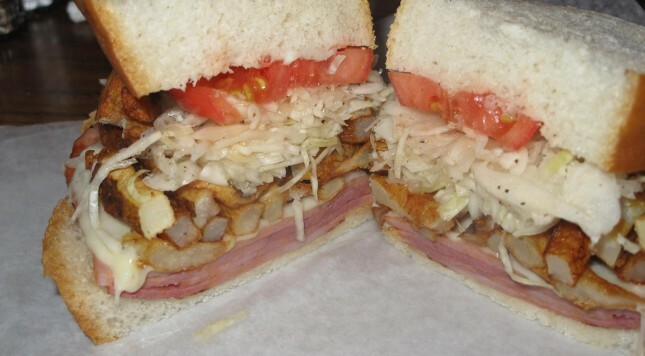 If you’ve even heard of Primanti Brothers, you know that their hook is french fries and cole slaw on sandwiches. A lot of cole slaw. Apparently, SportsCenter anchor Scott Van Pelt either didn’t know this, or did know it and tried to get a sandwich without the slaw at the famous Pittsburgh eatery. It didn’t go well as he recited a story from several years back. I feel him. I’m not a fan of cole slaw either. Never touch the stuff. It’s wet cabbage, and I’m not a fan of cabbage either. However, you can’t go into a place known for cole slaw on sandwiches and ask them to hold the cole slaw. You probably should be able to, but that’s like … their thing. I visited the place and I didn’t have the nerve to ask them to hold the cole slaw. I couldn’t do it. For me, it would be like urinating on the Clemente statue. I took some of it off, because they do put entirely too much of that stuff on there, but I took the plunge. Even with the slaw, it wasn’t half bad. As a fellow cole slaw shunner, I understand Scott’s position. But you have to do your homework. And you can’t piss off the locals. It’s bad optics.